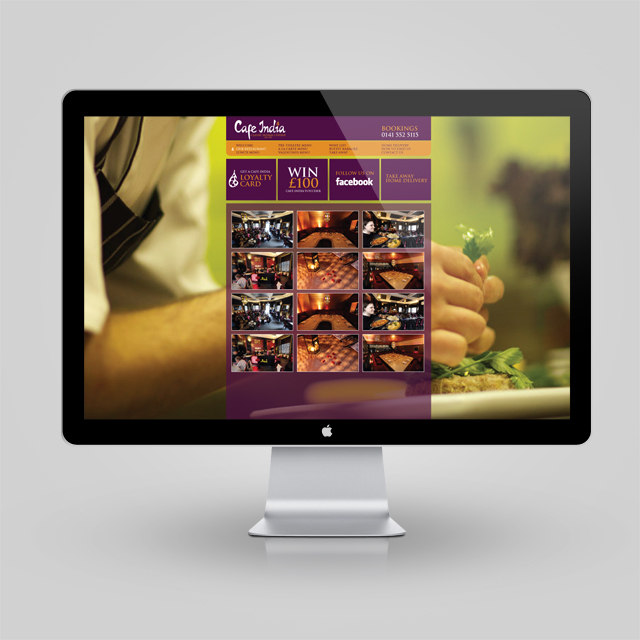 Design a website for Café India that reflects their bold, contemporary approach to Indian cuisine. 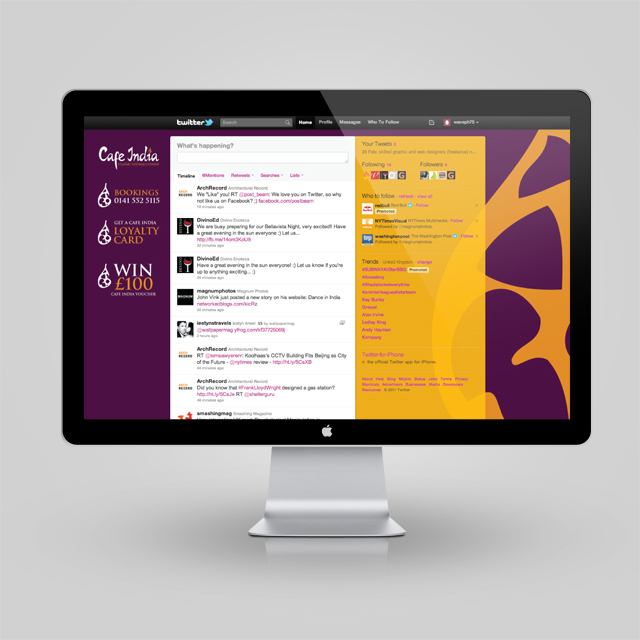 We chose a colour palette based around purple and orange, evoking warmth and richness, with a dash of spice. 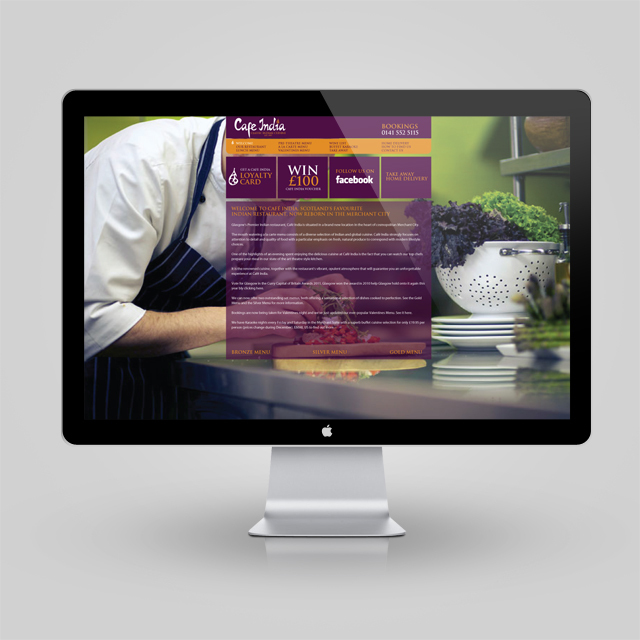 As agreed with the client, we featured their social media package as a main component of the site, allowing easy navigation of users between the site and networks such as Facebook and Twitter. Finally we used lush, vivid photography as backdrops to the pages, giving the whole experience a real immediacy and tangibility.